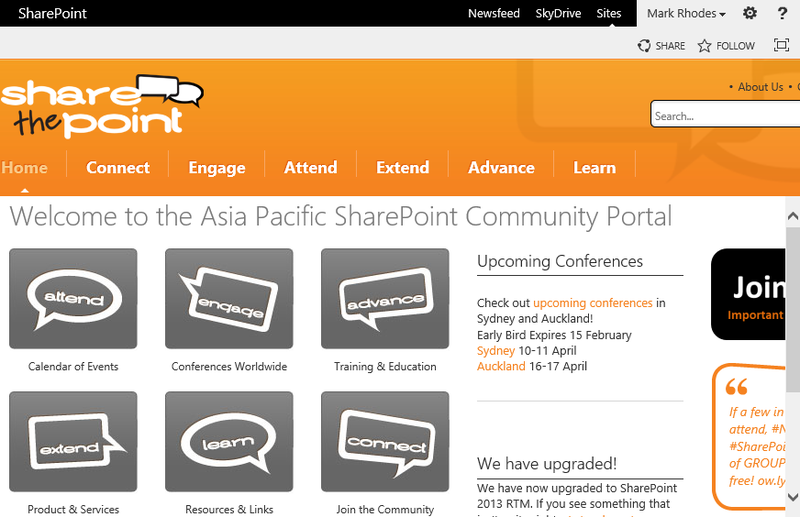 As you are probably already aware the Australian SharePoint and New Zealand SharePoint Conferences are rolling around for 2013 and have a fantastic line up of local and international speakers that you absolutely must see if you have the chance. I will be presenting a session entitled “Beyond FBA: No-code Authentication with SharePoint and Azure”. If you are running a SharePoint based extranet, or if you are facing authentication challenges on your SharePoint environment, this is a session I highly encourage you to check out. Why? 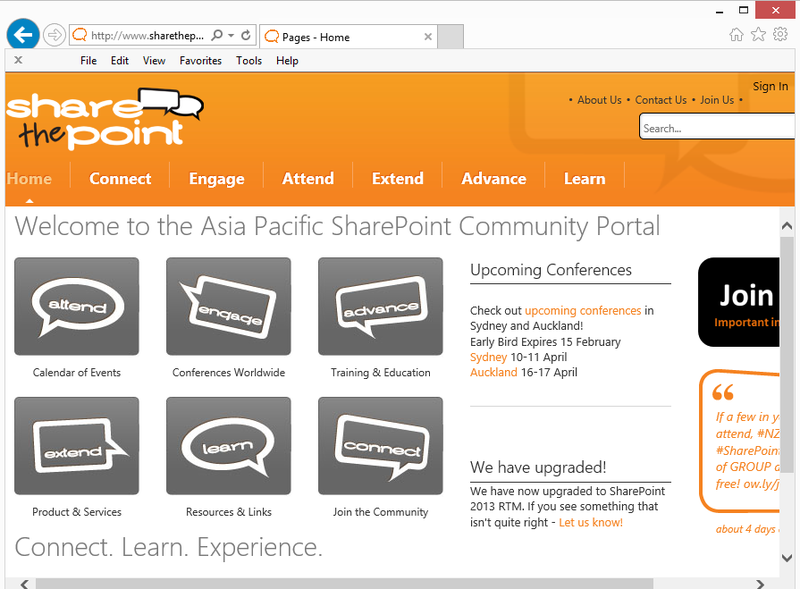 What if your users could log-in to SharePoint like this. 4. Done – you are signed in. No code. No hacks. No need to create accounts. No messy codeplex solutions. No need to mess around in AD. Highly supportable and easily repeatable. Come see my session at the conference to find out how to do this yourself with zero code and in use in under an hour!